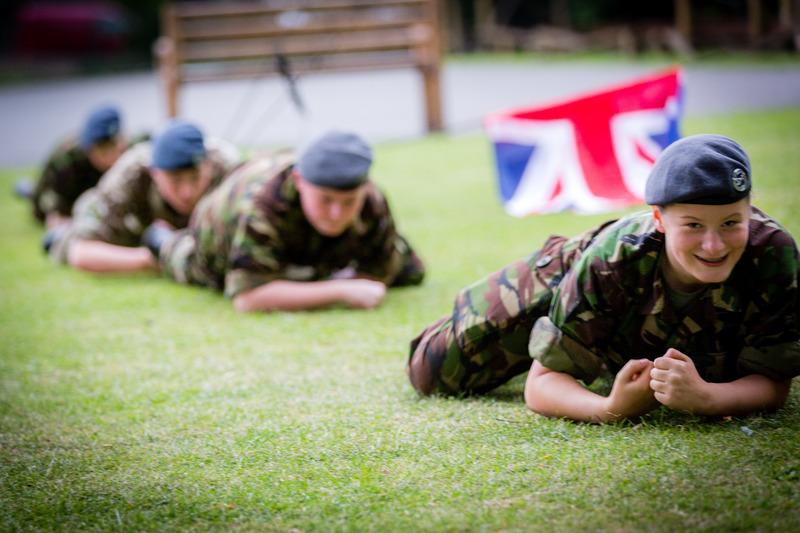 Fieldcraft Training allows cadets to develop their personal skills and knowledge in a wide range of activities which relate directly to working and living in a field environment. In addition, it offers a wide range of opportunities for leadership at all levels. It covers activities like shelter construction, webbing usage, navigation and personal administration skills, all things which are required when living and working out in the field. Cadets at 346 (Tynemouth) Squadron learn about the basics of fieldcraft in the safety of the Squadron HQ and surrounding areas. As Cadets become more proficient, they have the opportunity to attend a variety of events covering fieldcraft and military skills which could be a week long camp at some of the military defence training estates or the Corps wide Junior Leaders course which aims to develop leadership and other important skills within the cadets,for both use in military and civilian life. The Junior Leaders is a national organisation supported by the RAF and RAF Regiment. It carries the Institute of Leadership Management (ILM) and Heart Start First Aid qualifications for its graduates. The Junior Leaders course takes place over nine training weekends between September and the following Easter during which time the cadets will complete a programme of formal training covering subjects as diverse as weapon handling, leadership theory, mess etiquette, practical leadership skills along with physical fitness training and assessment. Cadets are expected to attend every weekend as well as working in between training periods by preparing lectures, doing research on Airpower and other subjects and improving their fitness. As well as continual assessment during the training weekends cadets will need to pass exams at the end of each Phase and will be “relentlessly tested” during the week-long third phase, most of which is spent in the field. On completion of the course, graduates are awarded the JL Lanyard to wear on their uniform and the prestigious JL DZ flash to be worn on their No. 3 uniform.